Technology is no longer the future of dairy; it is an integral part of a modern dairy. 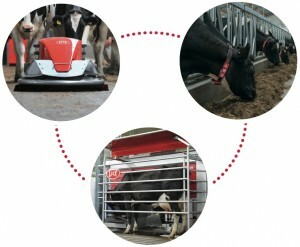 Rotating cow brushes increase comfort levels, automatic feed pushers provide constant feed and mobile barn cleaners offer a solution for cow housing hygiene. Advancements in barn technologies, such as these, make it easier for both producers and cows to do their job, and do it well. Having just one piece of the puzzle is extremely effective however; utilizing several components at once certainly affects the outcome. So, how does your Juno, Vector or Discovery affect milk quality and overall cow health when used with your milking robot? There is a circle of efficiency involved. The introduction of innovative dairy technology continues to have a profound impact on dairies and milk quality. Use of the Discovery mobile barn cleaner leads to less manure in the cubicles, cleaner claws, tail and udders, doing its job without interfering with cow movement, which results in a peaceful and quiet herd and prevents claw and udder illnesses. Healthy cows produce healthy milk. Providing frequent, fresh feed results in increased feed intake and higher milk production, and also has a positive effect on cow health. Research has proven that frequent, fresh feeding yields healthy cows and results in more frequent visits to the robot. More visits to the robot ensure frequent and regular milkings. More milkings support cow health and prevent mastitis in particular, as well as minimize the risk of other health issues which affect cow productivity and output. 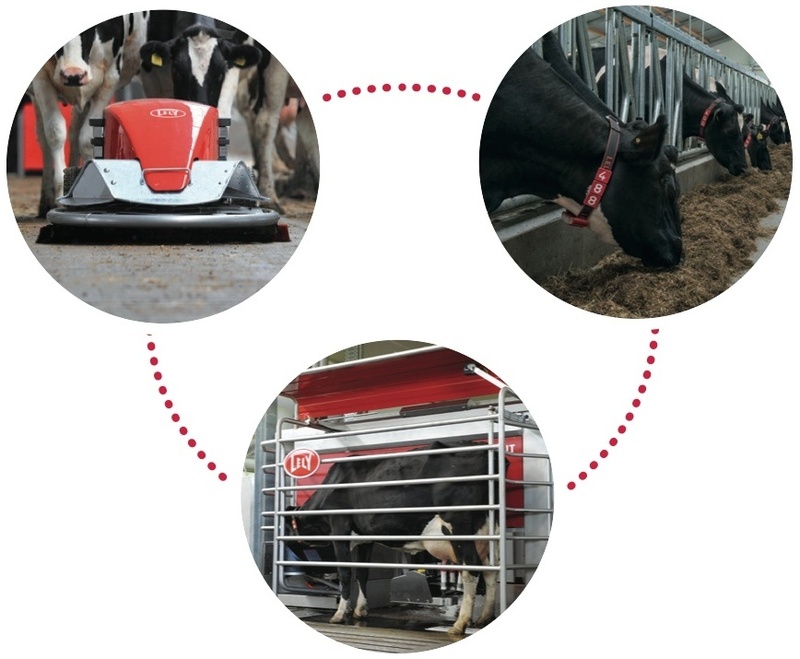 Not only do these factors contribute to increased milk quality but, the Lely MQC (milk quality control) sensors, on the Lely Astronaut robotic milker, provide vital information on animal health metrics like: rumination; weight; milk fat/protein/lactose content including fat and protein ratio; and conductivity, color and quality of the milk. This results in easy-to-use practical attentions of cows with mastitis, ketosis, acidosis and other health problems, providing you with vital information on mastitis, body health and feed rations. No producer knows his cows better than a Lely robot producer.